I was recently told about a hand from a $500 buy-in live tournament that illustrates an important concept that many amateur poker players fail to fully understand. Somewhat deep with blinds at 500-1,000 with a 100 ante, our Hero raised to 2,500 out of his 50,000 effective stack on the button with K Q . Only the big blind, a generally tight and extremely straightforward 50 year old man called. The flop came Q 9 5 . The opponent led for 3,600 into the 6,400 pot. As always, you should strive to figure out your opponent’s strategy. Once you have a decently strong read on him, you should consider adjusting away from a fundamentally sound strategy to take advantage of his tendencies. Given Hero thinks this specific opponent is very straightforward, Hero should assume he is playing in an honest manner, meaning his lead indicates a hand that he thinks is worthy of a lead. So, which hands do most straightforward players think are worthy of a lead on this flop? Most straightforward players view any Queen or better as a decent made hand, and a flush draw or open-ended straight draw as a strong draw (although many straightforward players do not lead with their draws). This means that Hero is either in great or marginal shape, depending on how likely the opponent has Q-9, Q-5, and 9-5. If the opponent is reasonably tight before the flop, Hero can essentially rule out Q-5 and 9-5 (although he then may have to worry about A-Q), but if he is splashy, Hero should proceed with a bit more caution. Hero called with his top pair. I like this call. If Hero raises, most tight, straightforward players will at least consider folding their worse top pairs, and if Hero gets reraised, he should probably fold his K-Q, which is near the top of his range. By calling, Hero will get outdrawn some portion of the time in exchange for keeping the opponent in with all his inferior made hands and draws. The turn was the K , improving Hero to top two pair. The opponent bet 5,000 into the 13,600 pot and Hero called. I again like this call, although there is now much more merit to raising if the opponent will blindly put his stack in with all his worse two pairs (assuming those hands are in his preflop range). However, the obvious straight draw arrived and the straightforward opponent is still betting, so Hero should consider proceeding cautiously, especially if he thinks the opponent will fold two pair to a raise. The main reason I would consider raising to about 13,000 is the opponent’s 5,000 bet size into the 13,600 pot doesn’t indicate a hand he is trying to maximize value from, but is instead trying to squeeze a bit of value from, meaning he likely has a non-nut hand. That said, many amateurs simply choose an amount they think is “a lot” and bet that amount (whether or not it is a lot in proportion to the pot or the stacks), so this default read could be way off. The river was the 2 . The opponent bet 5,000 into the 23,600 pot. As on the turn, Hero should again consider raising because a 5,000 bet into a 23,600 pot usually indicates a marginal made hand. Since Hero beats essentially all marginal made hands, I think a raise to about 15,000 would be quite nice. The only time calling is superior to raising is when the opponent will likely make a big fold with most worse hands when raised. That said, when the obvious flush draw misses, many players (even tight ones) will make a crying call if they think their opponent is capable of bluffing. If Hero raises and gets pushed on, he should reluctantly fold, expecting to be against a straight or an unexpected backdoor flush. Pot odds don’t matter if you are crushed every time! 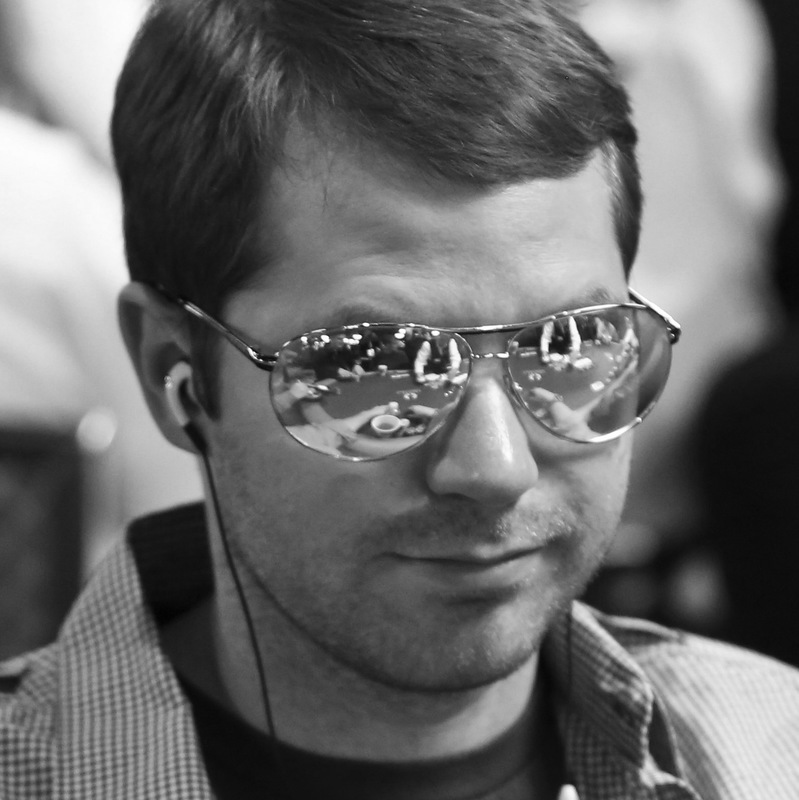 Jonathan Little is a two-time WPT champion with more than $6 million in tournament winnings. Each week, he posts an educational blog and podcast at JonathanLittlePoker.com, where you can get a FREE poker training video that details five things you must master if you want to win at tournament poker. You can also sign up for his FREE Excelling at No Limit Hold’em webinars at HoldemBook.com/signup.